In a unique twist on the excesses of the last credit bubble, Canada’s bond market is now issuing bonds backed by increasingly riskier assets, but that hasn’t stopped investors from jumping at the chance to buy them - because why would history ever repeat itself when central bankers are here to make sure there is no more risk, ever? According to Bloomberg, some popular recent deals have included debt backed by assets like mortgages on junk-rated Hudson’s Bay stores and consumer loans that charge interest rates of up to 40%. There is also new debt being backed by home-equity lines of credit, credit cards, and auto loans/leases. Non-banking mortgage lenders may also soon issue similar debt, according to the report. In fact, the only thing that differentiates the current Canadian bond issuance frenzy from what took place in the US in 2005-2006 is... well... we'll get back to you on that. Randall Malcolm, senior managing director of fixed income at Sun Life Investment Management said: "The flattening of the curve, in which you see the ten year bonds inside the overnight rate is prompting investors to hunt for yield." Some of these new issues include C$202 million of securities backed by mortgages on Hudson's Bay department stores, put together by RBC. The top portion of these bonds were priced to yield 3.64%, which is about 200 basis points over government issued bonds. A smaller Class "B" tranche of bonds were issued at a yield of 4.63%. The borrower of the loans is a joint venture between Hudson's Bay and RioCan Real Estate Investment Trust. Hudson's Bay is rated six grades below investment grade and RioCan Real Estate Investment Trust holds S&P global’s second-lowest investment rating. Hudson's Bay has reported losses 9 out of its last 10 quarters. At least during the financial crisis, we could blame the ratings agencies for not doing their jobs. 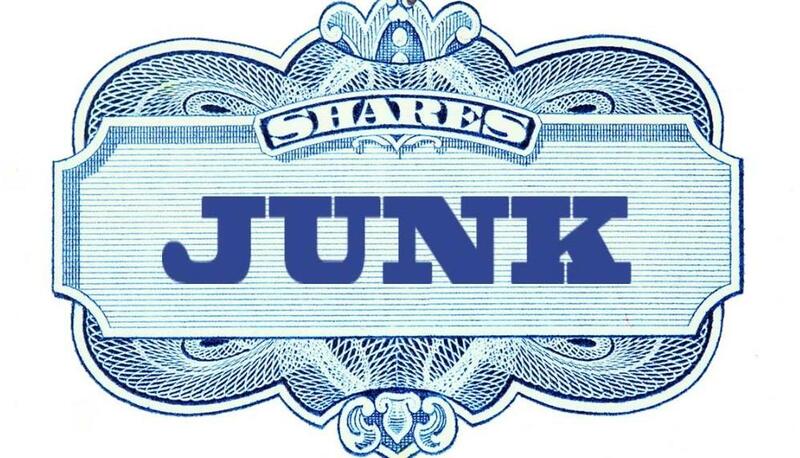 This coming crisis we'll instead have to blame underwriters and bond buyers for ignoring them. The issue has an "element of concentration which I haven’t seen in a long time,” said Malcolm, referring to the fact that it is Canada's first-ever commercial MBS pooling of loans from a single entity. Fairstone Financial also recently issued C$322.4 million in bonds backed by consumer loans with rates as high as 39.99%.The issue has an expected maturity of 2.6 years and offers a 3.94% yield. The punchline: 70% of those loans had FICO scores below 649, which is also better known as subprime. It was the first non-prime asset backed security deal out of Canada since 2007. Back then things did not work out quite as expected. Fairstone spokeswoman Fiona Story said that interest in the deal was brought on by: "Fairstone’s long history and tenured track record of providing transparent and responsible lending options for a segment of the Canadian market that may experience sudden financial needs, but is not eligible for prime credit." Canada also had its first issue of Heloc bonds since October 2017 when Fortified Trust sold C$750 million of notes at 2.56%. Borrowing through Helocs in Canada has grown faster than mortgages since 2017 and represents about 11% of total household debt. There have also been five additional issues backed by credit-card debt and two by auto loans and leases. Canadian consumers reduced their average monthly payments on credit cards in February to 38% of outstanding balances - the lowest level since 2015. Making matters worse, we recently pointed out that low rates had buried Canadian consumers under a mountain of debt, which assures that the adverse impact of the next financial crisis will be substantially magnified. Canadians now collectively owe C$2.16 trillion, which as a share of GDP is the highest debt load in G-7 economies, at just over 100%. At the same time, the housing market is starting to cool in the country and people are "freaking out", even with rates not far above historical lows, according to Bloomberg. And while nobody dares to exit the party just yet, everyone is waiting to see what happens next. 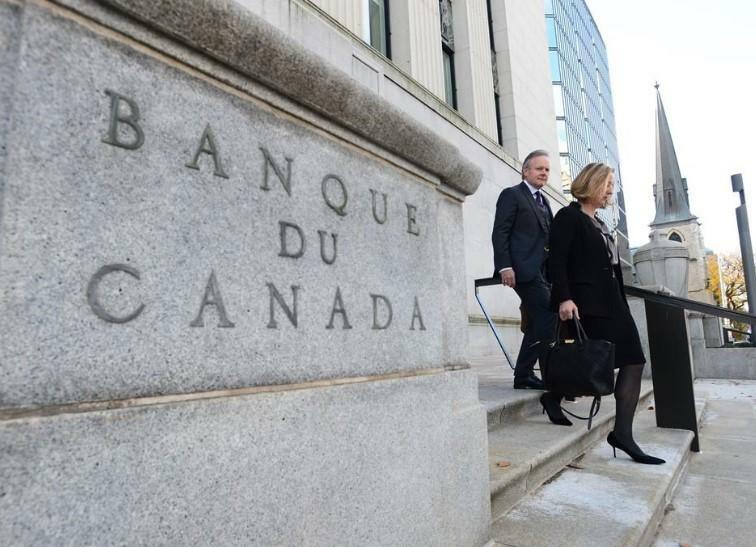 The Bank of Canada has raised rates 5 times since 2017, resulting in current rates of 1.75%. Federal rules put into place have curbed speculation in the housing market. Home values are falling for the first time in three decades. In other words, the chickens could soon be coming home to roost. Meanwhile, in yet another credit red flag, auto loan delinquencies hit 0.97% in the last quarter of 2018, which is the highest number since the aftermath of the 2008 recession. Data is also showing a "pronounced shift" to leasing, as higher rates make it less economical to offer cheap longer term loans. Leases made up 36% of the C$7.85 billion in new auto loans in the fourth quarter, the largest share since before the financial crisis.